James Ujaama was one of the early terrorism suspects who took a deal to avoid a big jail sentence. I followed his case extensively at the time because he was arrested in Denver. 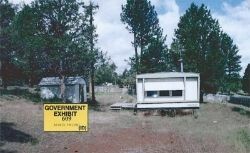 The Government initially alleged he scouted for terror camp locations in Bly, Oregon. He ended up pleading guilty only to providing cash, computers and fighters to the Taliban, in exchange for his cooperation against others. He was sentenced to two years, about one of which had been served in pre-trial detention. He's been on supervised release since 2004. 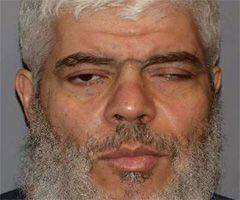 The Government was counting on Ujaama to testify at the trial of London cleric Abu Hamza al-Masri. Ujaama, it seems, got cold feet and split to Belize using a fake Mexican passport. On Friday, the Judge in Seattle where he pleaded guilty in 2003 revoked his plea deal. 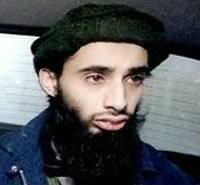 Today, in federal court in Manhattan, he pleaded guilty to the original terrorism charges lodged against him and now faces up to 30 years when sentenced. On a related note, I still think that Condi Rice confused Ghost detainee Khaled el-Masri (also spelled al-Masri, a German shoe salesman) with the London Cleric and only ordered his release after the cleric al-Masri was arrested. By then, el-Masri had been in jail for five months. Among the more curious details of the mix-up, if there was one: al-Masri the cleric, has one eye and a hook for hands. You would think someone would have noticed the difference between him and Khaled el-Masri before five months went by. What are we to make of James Ujaama, the Seattle man charged with providing material support to Al Qaeda who was denied bail this week? The New York Times calls him a "riddle" and asks whether he is a terrorist or a hustler. "Unlike John Walker Lindh or the men arrested near Buffalo, Mr. Ujaama has support from a cross-section of prominent people here. "I can't see anything in his past that would indicate he would ever be involved with violent terrorists," said Eddie Rye Jr., regional vice president of the Black Chamber of Commerce. Mr. Rye has known Mr. Ujaama for more than 20 years. Like other longtime acquaintances, Mr. Rye suggests the activities that the government says are part of a plot can by explained by Mr. Ujaama's lifetime of making deals." "James Ujaama first and foremost is an entrepreneur," Mr. Rye said. "He had prepared himself since an early age for success." "As a child, Mr. Ujaama worked at food banks and social service centers in Seattle, helping his mother, Peggy Thompson. As a young man, he established a computer business, sold pamphlets encouraging young blacks to stay off drugs and succeed through the American dream, and was a motivational speaker. A state legislator, Jesse Wineberry, once issued a citation declaring a statewide day of recognition for Mr. Ujaama." In denying bail for Mr. Ujaama this week, the Judge said, "His background is exemplary. But people change. And the record suggests some drastic and tragic changes for Mr. Ujaama." Mr. Ujaama has a felony conviction for check fraud and several misdemeanor convictions including one for theft. His friends say he became disillusioned when he couldn't sell a screenplay based on his life, and at his brother's suggestion, moved to London. In London, federal officials claim Ujaama "fell under the influence of Sheik Masri, the Muslim cleric whose followers included Richard C. Reid, the so-called shoe bomber, and Zacarias Moussaoui, who is accused of being the would-be 20th hijacker in the Sept. 11 attacks. Sheik Masri, who is wanted in Yemen on terrorism charges, remains free in London." The Indictment against him charges he took a loyalty oath to the Sheik and set up a website for him called "StopAmerica.Org." Not mentioned in the Indictment is the Government's belief that Ujaama attended an Al Qaeda training camp, using a reference letter from the Sheik to gain acceptance. The Indictment also charges that Ujaama sent a fax to the Sheik in 1999 extolling the virtues of a ranch in Oregon as a place to "store and conceal guns, bunkers and ammunition." Ujaama's family acknowledges that he became a militant follower of Islam but argue that all of his actions have innocent explanations. "Bayat, the Arabic word for the loyalty oath, means religious fealty more than personal loyalty, said Mustafa Ujaama. The Web site, he said, was a fount for free speech. "My brother was trying to stop America from going to war," Mustafa Ujaama said." "The training camp and the trips to Afghanistan, James Ujaama's supporters say, can be explained by Mr. Ujaama's business instincts, suggesting that he was trying to sell Sheik Masri and his followers land and computer equipment." Ujaama's lawyers and the prosecutors agree on one thing: Ujaama's real use would be in as a witness against Sheik Masri. Apparently, Ujaama isn't willing to make that deal--yet. The Justice Department reaches a new low today in the case of James Ujaama. Arrested in Denver as a material witness in the 9/11 investigation. Ujaama allegedly sold laptops to the Taliban before Sept. 11 and maintained a website with Anti-American sentiment. He had a secret hearing in Denver after which he was moved to Alexandria, VA.
His family couldn't find him after the move. Why? The Justice Department is holding him under another name. Charlie Brennan of Denver's Rocky Mountain News writes about it today in Security lid clamped tight on Ujaama case.